If you manage your rental property yourself, you should be aware of the importance of a good inventory. Not only will an inventory help you keep track of any damage to or theft from your property, but it will also help to avoid tenancy deposit disputes. 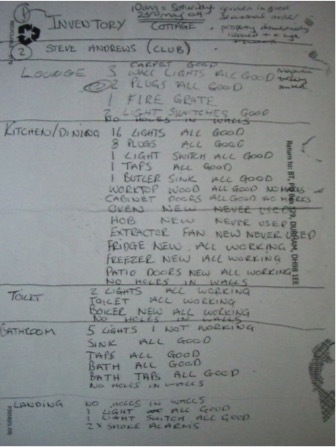 An inventory is an unbiased report that details the condition and contents of your property. It should list and describe the quality of the property’s contents, décor, fixtures and fittings, for both the interior and exterior. REMEMBER: Your inventory should not just list the items within the property, but also the condition of the building and its contents. When should the inventory be used? You must prepare your inventory before any tenants move into the property. During the check-in process, your new tenants should use the report to confirm that it is correct and make any necessary changes. Both parties should then agree to the changes, and sign the document. Throughout the tenancy, you should use your inventory during periodic inspections to note down any changes that have occurred. REMEMBER: You should aim to conduct periodic inspections every three to six months, but you must give your tenants at least 24 hours’ notice. At check-out, you should compare the condition of the property and its contents to the original inventory report. This will help you make any necessary deductions from your tenant’s deposit. What do I do in the event of a deposit dispute? 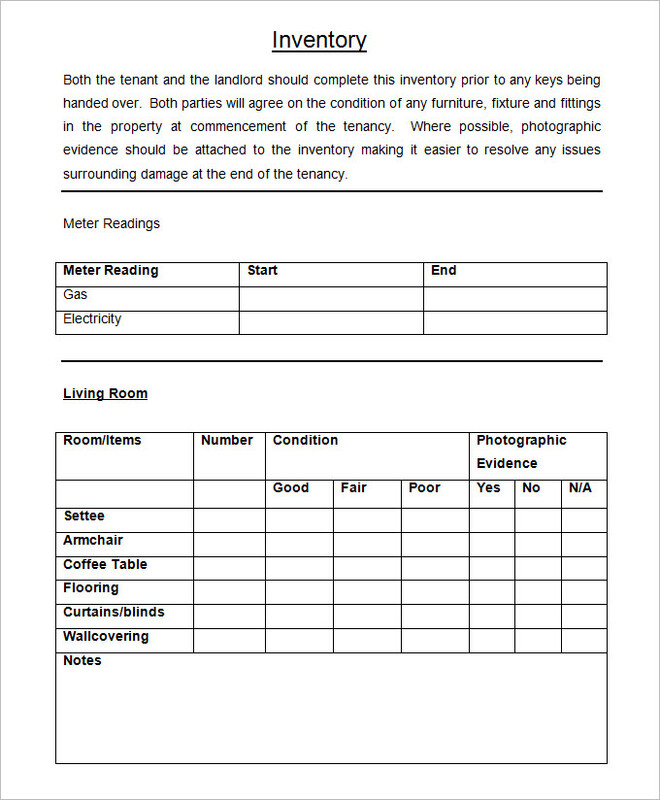 If your tenant has caused damage to your property or its contents, this will be noted on the inventory. This report can be, and should be, used as evidence in the event of a tenancy deposit dispute. REMEMBER: You are legally obliged to protect your tenant’s deposit within 30 days of receipt in one of three Government-approved deposit protection schemes. You must then provide your tenants with the prescribed information. Read more on our blog post about Tenancy Deposit Schemes. If a dispute is not resolved informally, you should take the matter to your tenancy deposit scheme, which will use adjudicators to make an unbiased and binding decision. The adjudicators will base their decision purely upon any evidence provided by all parties. You will only have one opportunity to provide evidence, so don’t miss anything out. How should a good inventory look? REMEMBER: To ensure complete transparency, accompany your tenant at check-in and ask them to be present at check-out, so that you can agree the inventory face-to-face. 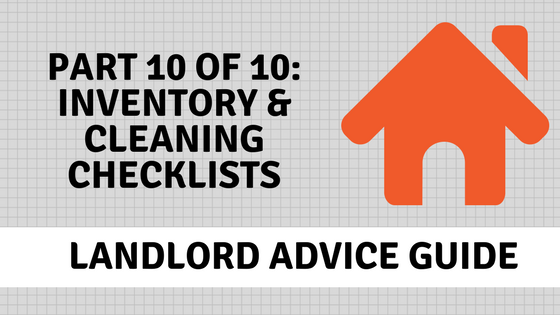 Landlords, don’t be caught out by a bad inventory!